. The Google Earth 6.1 update includes enhancements to make Google Earth easier than ever for both everyday users and business professionals. If you’re like me, your growing collection of maps in the My Places panel is getting a bit unwieldy. Every time I find a great new map or upload a new GPS track, it gets a little harder to find things. With this release, we’ve added a couple of new features to help you clean house a bit and find things more easily. First, we’ve added the ability to sort a folder - just right click on any folder and choose “Sort A-Z.” We’ve also made our My Places search feature easier to find; now all you have to do is type in the name of a map or a feature and it will highlight in the My Places panel. You can now sort your My Places folders to improve organization. Building on the improvements we made to the Street View experience in Google Earth 6, we’ve now added even more Street View features, including better zoom control through the slider tool and a wider field of view similar to Google Maps. You can now also navigate from one place to another with just a single-click of the mouse. These features make Street View in Google Earth more immersive, while performance improvements create a faster, smoother overall experience. 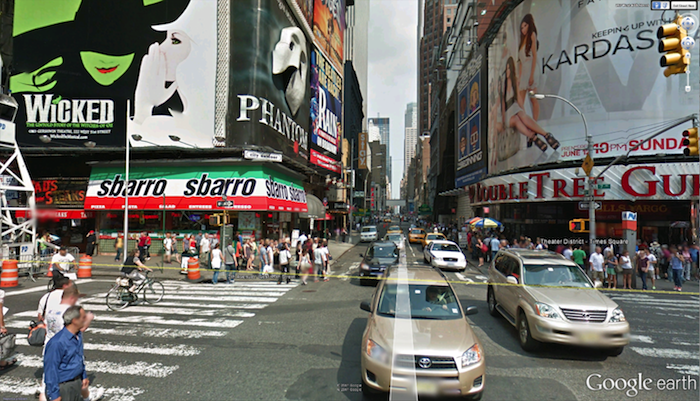 Street View in Google Earth now has a wider field of view. Enhanced print layout: Pro users can now include scale bars and directional arrows when printing, making it easy to include all relevant information in client presentations. Simplified movie maker: It’s now easier to convert saved tours to video and record live actions from the 3D viewer to really bring your presentation to life. Expanded data styling: Control up to 64 unique style attributes for imported datasets. Improved networking infrastructure: Earth Pro 6.1 received a robust network update, which offers better support for network proxies and SSL certificates commonly found in corporate networking environments. Combined elevation profiles and ruler tool: We know that sometimes distance is only one part of the equation. We’ve tied elevation profiles into the ruler tool, making it possible to take into account the entire 3D environment when measuring distance. Combined ruler and elevation profile tool used to measure Yosemite’s Half Dome Peak. We hope these enhancements make it even more fun and exciting to explore the planet, wherever you are in the world. 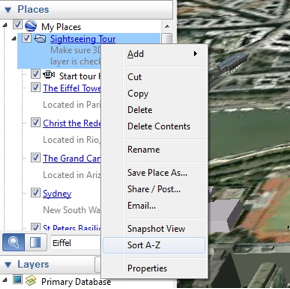 Download Google Earth 6.1 to get started. 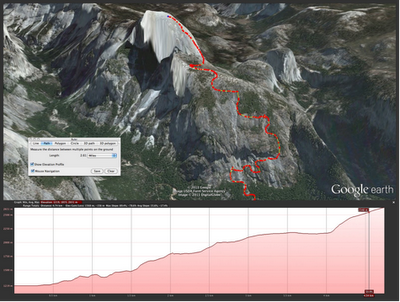 Today we are pleased to announce new features available in Google Earth. The Google Earth 6.1 update includes enhancements to make Google Earth easier than ever for both everyday users and business professionals.